Gaijin Entertainment announced today that the Soviet Naval tree will be joining their vehicle combat MMO War Thunder. They are the third nation to be represented in the game’s naval battles, they will arrive with 23 reconstructed ships of various sizes and classes. Anyone who is in the Naval Battles closed beta will be able to research and utilize these ships. 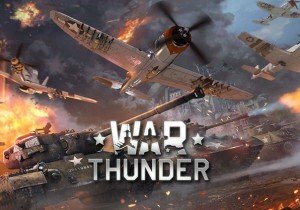 Since June 2018 the Closed Beta of the War Thunder Naval Forces is in full swing. Participants already sank more than 3,000,000 ships and downed more than 500,000 enemy aircraft in action-packed naval encounters all over the globe. Players can join the Closed Beta by sending an application via the official website or gain immediate access by purchasing a Naval pack featuring one of the premium Destroyer-class ships. For the next two weeks, players who already own any Naval pack will receive a 50% discount on the pack containing the Soviet destroyer ‘Stroyniy’. The Stroyniy is a sister vessel of the Project-7U-class and features anti-aircraft capabilities and an additional 76mm cannon at the stern. The Soviet light cruiser ‘Red Caucasus’ will be the current top ship in the Soviet line, having distinguished itself in real life as a staunch and trusty vessel capable of staying in battle even under sustained enemy artillery fire and attacks by aircraft.